The Depression years were hard for all involved with the new university, and especially so with the School of Music. The institution was in such dire straights that it could not afford to pay Volpe’s salary in 1931. So Volpe went to Kansas City, where he founded the Kansas City Conservatory (now the University of Missouri-Kansas City) before returning to finish his career at the University of Miami, from 1934-1940. 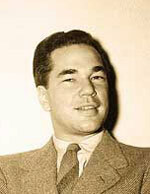 The first University of Miami Band (1933), Walter E. Sheaffer, Founder and Director One of the School’s stars during the later years of the Depression was Carl Ruggles, who taught composition from 1938 to 1943. Ruggles was a noted composer of ultra-modern music who came to Miami to visit his son, a University of Miami student, and ended up staying to teach for five years. He wrote several arrangements for the University Band and six brass students performed one of his original works, Angels, at a University Band concert in April 1939, the same year the School became an accredited member of the National Association of Schools of Music. As the nation entered World War II, the University of Miami underwent many significant changes. Foster’s vision for the School of Music was becoming a reality by the time she retired in 1944. 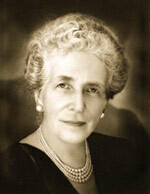 She was succeeded by Joseph M. Tarpley, who had played piano in the first University Orchestra. He served not as dean, but as Secretary of the School of Music, until John Bitter joined the school as Dean in 1950. John Bitter, Dean (1950-1963) Dean Bitter was also the conductor of the UM Symphony Orchestra, whose concerts became important cultural events in the city and featured prominent guest artists of the day. UM Symphony Orchestra, John Bitter, Conductor Artur Rubenstein, Pianist, Dade County Auditorium (1952) The University Band, which endured a rocky time in the 1940s, stabilized when Fred McCall began his 23-year career as bandmaster in the fall of 1948. This began the development of the famed "Band of the Hour," named after Henry Fillmore’s march, the Man of the Hour. Fillmore became an ardent supporter, friend, and benefactor of the band. Under McCall’s leadership, the band program grew rapidly and traveled to El Savador and Guatemala, giving concerts and earning great acclaim. Fillmore became increasingly devoted to the University Band and to Fred McCall. The present Fillmore Hall, dedicated in 1959, was a result of his dedication and generosity. In the late 1940s and early 1950s, radio and recordings were having an impact on music at the University of Miami. Station WLRD began to broadcast the University of Miami's Symphony Orchestra’s nightly performances in the University cafeteria. In addition, the music education program grew and by the mid-1950s, the School of Music boasted a local chapter of the Music Educators National Conference.